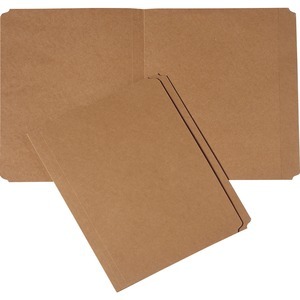 Kraft paperboard folders feature a plain-folded bottom that expands up to 3/4" to hold plenty of letter-size documents. Tabs are straight-cut for plenty of labeling room. Medium-duty folders are made of 11 point paper stock. Each file folder meets CPG guidelines.